LINZ’s historic aerial photo scanning project seeks to digitise the Crown archive in the interest of long term preservation, easier access, and better use of this valuable national resource. The Crown archive contains over 600,000 photos on film from nearly 7,000 aerial surveys captured from 1936 through 2008. Photos were captured for a range of purposes including mapping and land management. The negative film rolls are stored in an environmentally controlled vault to minimise degradation of the photos. We are now in the process of digitising this archive as a multi-year project in the interest of long term preservation, easier access, and better use of this valuable national resource. The photos are indexed on the LINZ Data Service (LDS) - Historic Aerial Photos, Photo Footprints (1936-2005) webpage. 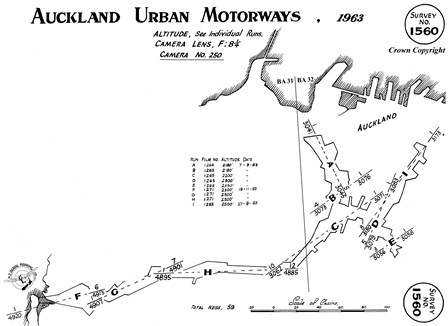 The surveys are indexed on the LINZ Data Service (LDS) – Historic Aerial Photos, Survey Footprints, CROWN (1936-2005) and the LINZ Data Service (LDS) – Historic Aerial Photos, Survey Footprints, NZAM (1939-2008) webpages. High resolution digital photos. The negatives are scanned at 14 or 21 microns, depending on the film quality. 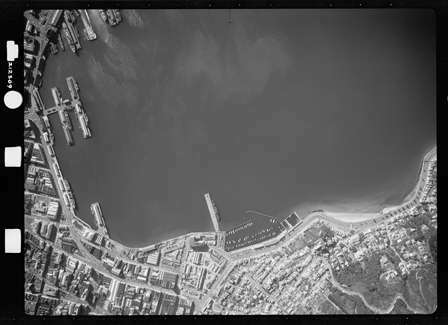 Guidelines on geo-referencing and orthorectification of historic aerial photgraphy (attached below) provides information on the various options for creating GIS imagery from the historic photos. Photos from the partner regions above may be viewed and downloaded from the Retrolens website. Photos from the entire archive may also be requested from WSP OPUS NZ for a fee. Ph OPUS NZ 0800 680 690.